Whilst the Scottish social security system should make provision for the investigation of fraud, it is important that a clear distinction is drawn between intentional fraud and unintentional error, such as not reporting a change of circumstances unknowingly. It should also be recognised that despite public perceptions, the overall levels of benefit fraud are low. From the most recent official statistics, the rate of fraud for Personal Independence Payment (PIP) is just 1.2%, with Disability Living Allowance (DLA) at 0.5% and Carer’s Allowance at 3.9%, though figures for the latter two have not been published in a number of years. Similarly, the amount of advice provided relating to alleged benefit fraud provided by Scotland’s CAB network is also relatively low, with 1,686 issues advised on out of a total of 332,298 pieces of advice related to social security matters. Just 224 of these related to the benefits due to be devolved. 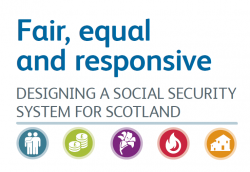 It is also of paramount importance that the process of investigating alleged fraud is shaped by the social security principles, in particular that respect for the dignity of individuals is to be at the heart of the Scottish social security system, and that social security is itself a human right and essential to the realisation of other human rights.